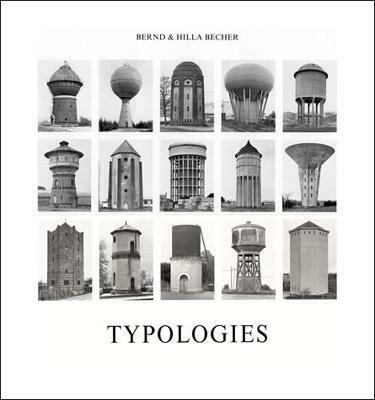 Bernd and Hilla Becher's photography can be considered conceptual art, typological study, and topological documentation. Their work can be linked to the Neue Sachlichkeit movement of the 1920s and to such masters of German photography as Karl Blossfeldt, August Sander, and Albert Renger-Patzsch. Their photographs of industrial structures, taken over the course of forty years, are the most important body of work in independent objective photography. A keynote of their contributions to "industrial archaeology" has been their creation of typologies of different types of buildings; this book, which accompanies a major retrospective exhibition, collects all known Becher studies of industrial building types and presents them as a visual encyclopedia.Each chapter is devoted to a different structure-water towers, coal bunkers, winding towers, breakers (ore, coal, and stone), lime kilns, grain elevators, blast furnaces, steel mills, and factory facades. These are organized according to typologies, most of which are presented as tableaux or suites of about twelve images each. The book contains close to 2000 individual images. The accompanying text by Armin Zweite is an essential art historical consideration of the Bechers' work. This ultimate Becher book stands as a capstone to the Bechers' unique body of work.
" The format of Typologies, with its catalogue-like arrays of many small images...invite[s] a comparative examination..." -- Brian Hayes, American Scientist & quot; The format of Typologies, with its catalogue-like arrays of many small images...invite[s] a comparative examination...& quot; -- Brian Hayes, American Scientist "The format of Typologies, with its catalogue-like arrays of many small images...invite[s] a comparative examination..."-- Brian Hayes, "American Scientist"
Bernd Becher (1931-2007) and Hilla Becher (1934-2015) worked together as photographers beginning in 1959. Founders of the internationally acclaimed Becher class at the Dusseldorf Art Academy, they have received numerous awards, including the Golden Lion at the 1990 Venice Biennale and the 2002 Erasmus Award. Bernd Becher (1931-2007) and Hilla Becher (1934-2015) worked together as photographers beginning in 1959. Founders of the internationally acclaimed Becher class at the Dusseldorf Art Academy, they have received numerous awards, including the Golden Lion at the 1990 Venice Biennale and the 2002 Erasmus Award.